Sorry I haven’t posted in a while, it has been a very busy 2 weeks to say the least. Lots going on with my car, mixed in with some car shopping for my son, add in a few automotive reviews, all make for a very tired Perk. 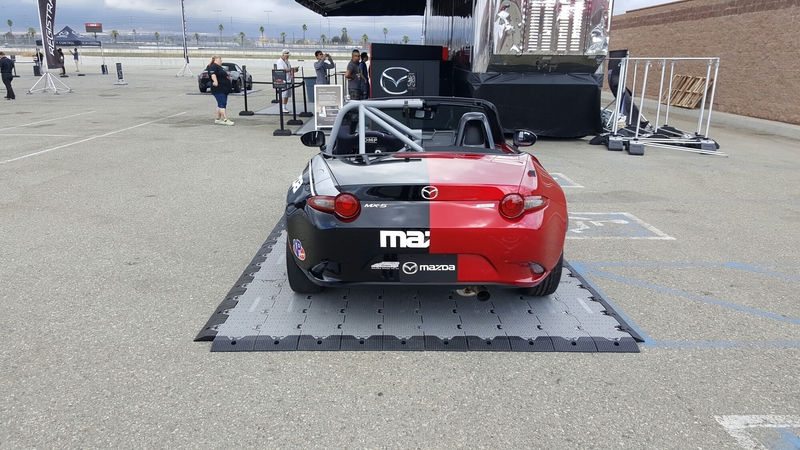 After attending a Mazda drive demo at the Orange County International Auto Show, I received an email invite to attend their “Driving Matters Ride and Drive” track event at the Auto Club Speedway in Fontana. I invited my buddy and my wife to the event so we can really see what the 2016 Mazda MX5 was all about. But first up I used my Saturday to visit the happiest place on earth…Carmax! I kid, but at Carmax you can browse and drive anything on the lot and there is no pressure from the blood thirsty greasy hair, sweaty chest hair and gold chain swinging salesmen you usually find at dealerships to worry about. 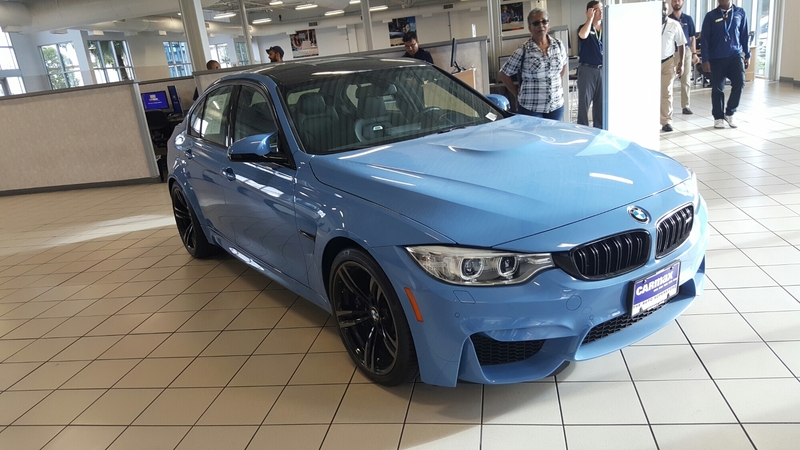 In their showroom I found what Santa needs to bring me this year, a 2016 Yas Marina Blue Metallic BMW M3 with the carbon fiber roof. On Sunday we made the drive out to the Speedway for the Mazda event and when we arrived I noticed that BMW was also there hosting their BMW Experience. Hmmm, I don’t recall seeing an invite for that one. Oh well, onto the Mazda event. There were not a lot of people this day which helps so we didn’t have to wait in long lines to drive the cars. Mazda had a slalom and a 0-60-0 braking section set-up. The cherry on top was that they were also letting us get on the track to do a hot lap with one of their professional drivers. Hot damn, after attending several motorcycle races and Porsche events over the years, I’ve longed for the day to drive on this track. This was going to be FUN! The Miata/MX5 has always had a Jekyll & Hyde complex. I immediately started taking pictures and then we checked in at the registration table. Mazda has you take a Breathalyzer test…at 9 am? I guess liability is liability. Not to worry drinking doesn’t usually start until 9:30 am so we passed. I’m kidding, we usually don’t hit the bar until 10 lol. 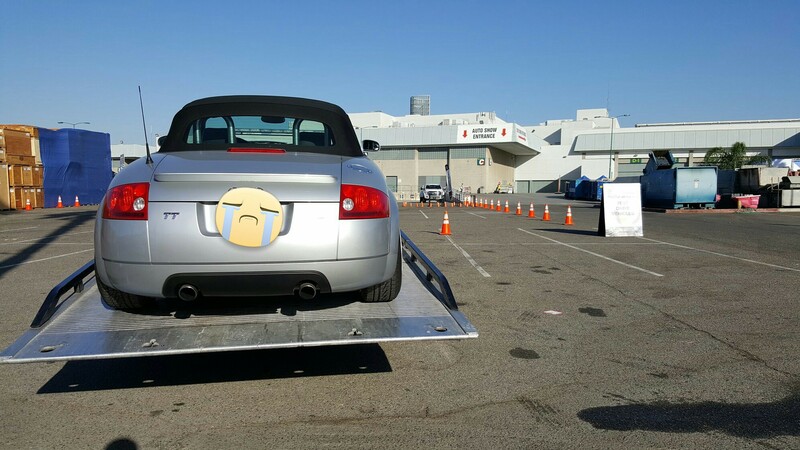 After getting our wristbands to drive, we hopped in the line to do the 0 to 60 braking test they had set up. The objective is to floor the accelerator and then jam the brakes, stopping in a coned section. This was to showcase the acceleration and braking capabilities of the lightweight Mazda. On hand were both auto and manual transmissions for those who can drive them. Apparently someone didn’t and burned up the clutch on one of the MX5’s by launching the car from 3rd gear rather than 1st. Sadly this limited the number of available manual transmission cars. On the Club version above, you can get the optional Brembo brakes with red calipers, 17″ BBS wheels, and Bilstein dampers. I think they also mentioned a limited slip diff. The event was really fun and I was even able to talk my wife into doing the braking test and doing a slalom ride along with one of the Mazda reps. You should have seen her smile. 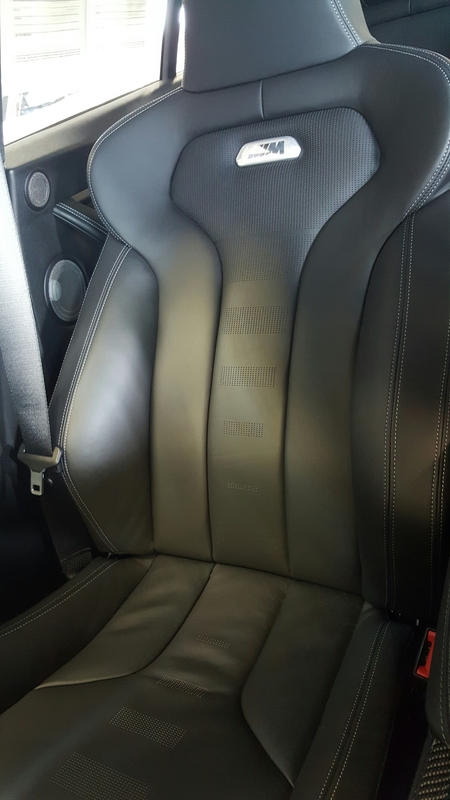 The car is very comfortable, nimble and packs a lot more power than the 1991 BRG Miata I owned, so it took me by surprise when I did the slalom and broke the tail end out a bit. Check out my runs. We did back to back runs through the slalom. So much fun! The 0-60-0 braking challenge was fun as well. My wife even took a chance and rode shotgun during a slalom run with one of the Mazda drivers. The real fun was on the track where the car excels in its class. It is a very playful chassis and pushing it to its limits is where the car comes alive. It is easy to see why my neighbor has owned and races so many of them over the years. This really makes me miss mine. Hello sire! Getting ready to hit the track in the MX5. After we did our lap on the track, my friend says that was way more fun than he expected. That was cool since he was apprehensive about driving such a low powered hairdressers car. A common term referencing the fact that its a top down roadster just like the TT. Walking back to our cars we said lets go “check out” the BMW event. In other words, lets try to sneak in. Sitting in front of their tent we were pleasantly greeted by a 2016 M4 in Austin Yellow Metallic…another color out of the BMW bag of skittles. Flashy, but I dig it. In my head the Napoleon Dynamite ‘Yesssss’ was echoing. Well it worked, we even saw some of the same people that were at the Mazda event. 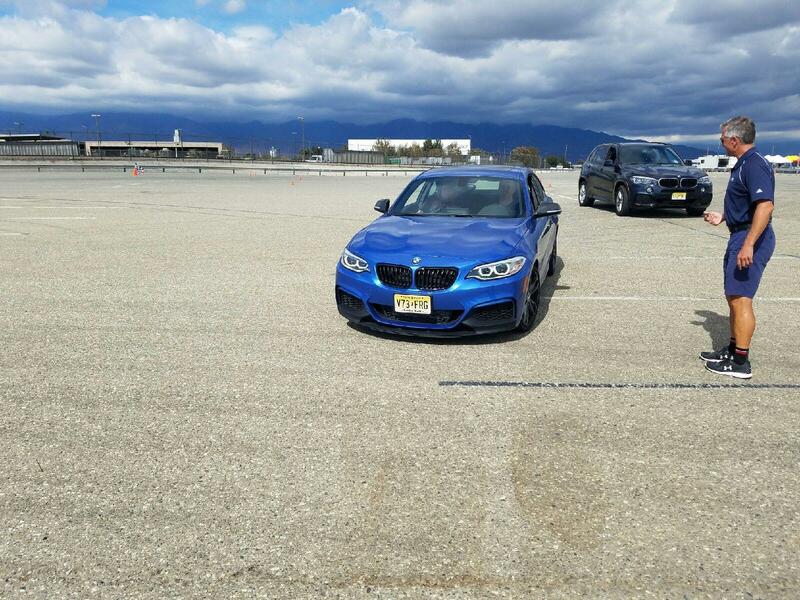 BMW had a similar set up, only they had an autocross course set-up rather than taking the cars on the actual track. The staff and pro drivers gave us a walk through of the events and were very helpful throughout the demos. 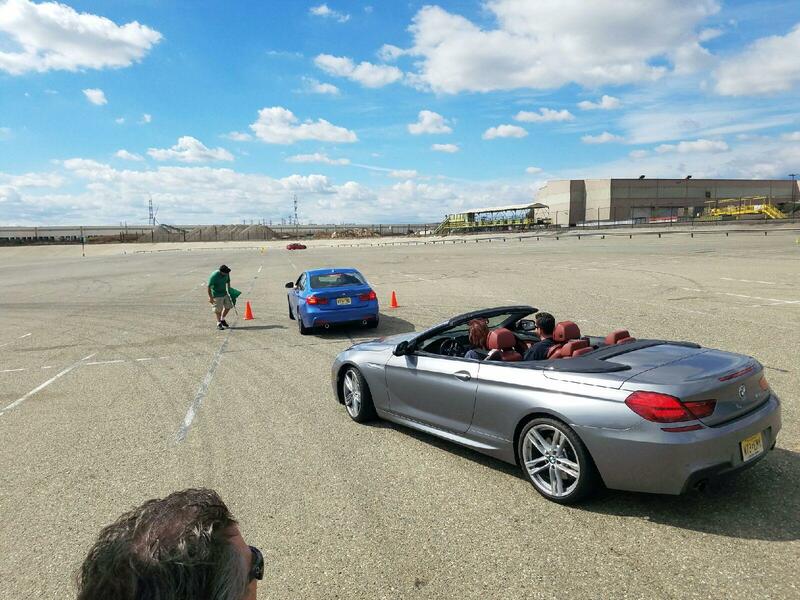 They gave a guided tour of the 0-60-0 braking, which we were passengers in the X5, as well as the autocross course. The X5 happened to be the only non M packaged vehicle in their line up for the day but still drops anchor in the braking dept. Like Mazda, this was a smash the go-fast pedal and then Fred Flinstone the brakes. They were very encouraging on putting the cars in sport + mode and wreaking havoc on the M brakes. 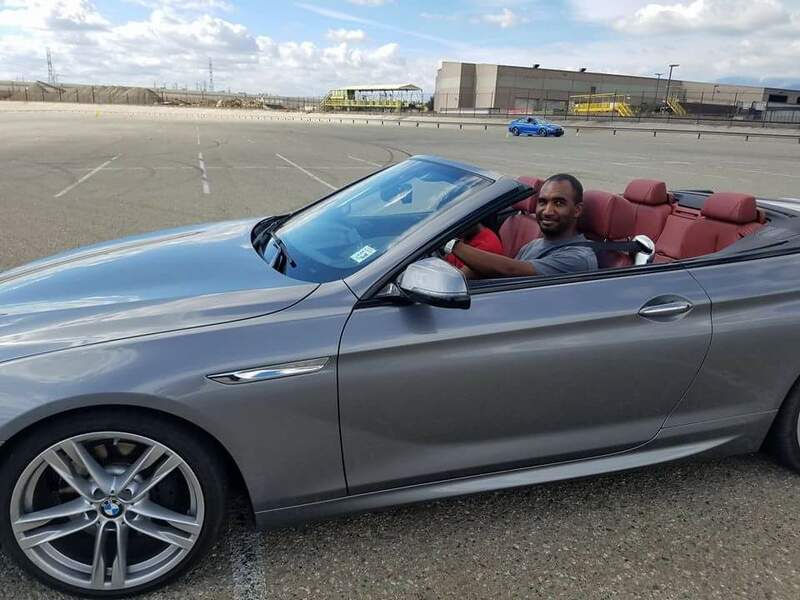 I first took the reigns of the 340i sedan in Estoril Blue with M performance bits – body kit, brakes, suspension and M badges. Hitting about 65mph on the straight and coming to an eye-bulging stop in a split second. It lagged a bit off the line, but quickly got up to speed. Next was the 640i convertible, a very suitable upgrade to my TT, don’t you think? You can hear my wife very clearly enjoying herself in each video, until she cried uncle and said enough is enough. 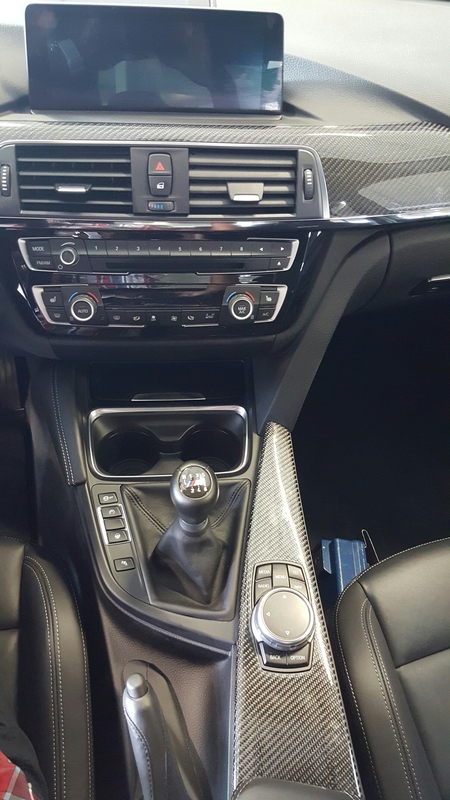 Now for the serious weaponry…2016 Estoril Blue M235i with carbon fiber inlays and that Alcantara racing steering wheel with the built in shift lights…oh how I love thee! 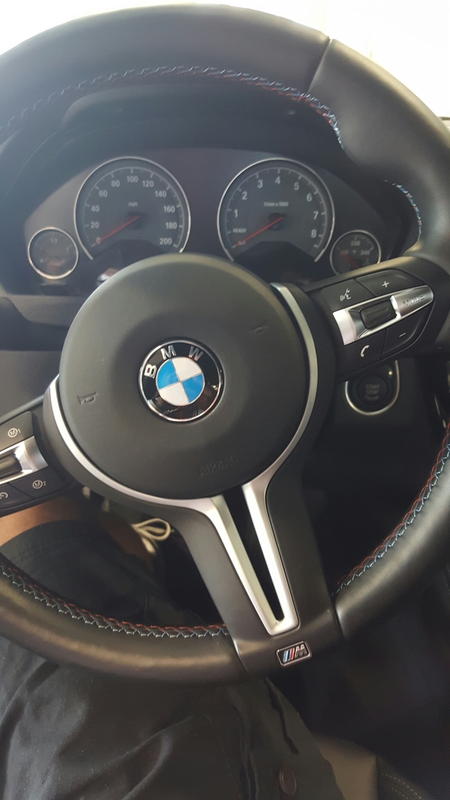 And the 2016 Sakhir Orange M3 in Beastmode! Now both of these cars are serious on the playground and the smiles per horsepower are unmatched. Real point and shoot driving machines. 0-70-0 comes REAL QUICK! And they sound amazing doing it. Sadly there was some rubbing coming from the rear heat shield of the M3 that had to be massaged back into place. 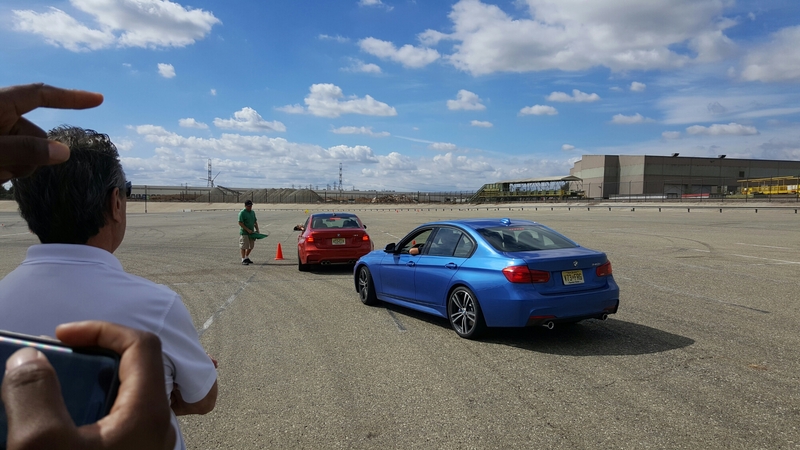 Lastly, we hit the autocross and I jumped at the opportunity to bend some corners in the M3. Get the tail end loose and with it’s precise steering I was able to get the beast safely through those tight turns while avoiding hitting any of the cones. Here I am doing a discovery lap in the 340i. I was just warming up for my run in the M3. This was the best automotive weekend ever! Definitely looking forward to the next Perks Garage outing. Enjoy the pics and videos, we had a blast taking and making them. Excuse some of the camera movement, but the BMW M-Cars haul much a$$! All photos and videos courtesy of Perks Garage. ← I’ll just leave this right here for now. Blog post to follow…stay tuned!